Scotts Florida Select Natural Eucalyptus Mulch is made from 100% Florida-grown Eucalyptus. 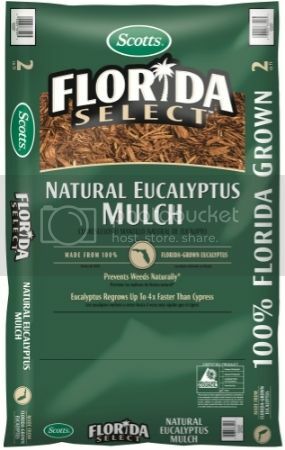 Eucalyptus Mulch is a sustainable Cypress alternative, grown in Florida, for Florida! I know, I don't live in Florida, and you probably don't either, but that's not a problem because Scotts has sustainable gardening products for us too. 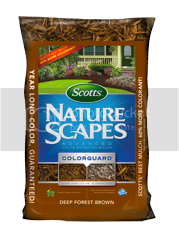 Scotts Florida Select Natural Eucalyptus Mulch comes in 3 different colors (I used the Deep Forest Mulch this year on my gardening beds), and is made from natural forest products. I am always on the lookout for ways I can go green and give Mother Nature a little help. Scotts is one way our yard can be more green. Now for you Floridians, Scotts Florida Select Natural Eucalyptus Mulch is the best option for your landscape because it is sustainable. It is harvested and plantation grown, so no forests were harmed in the making of it. And here is something you may not know, eucalyptus is considered a renewable resource because it re-grows up to 4-times faster than Cypress! Scotts Florida Select Natural Eucalyptus Mulch is natural, made from 100% plantation-grown Eucalyptus trees. Eucalyptus Mulch is guaranteed free from any construction, demolition, pallet, or other nasty waste materials. It is effective for landscaping, because it prevents weeds naturally, while helping to conserve soil moisture, and moderate soil temperature. The good news is, Scotts Florida Select Natural Eucalyptus Mulch is 100% Florida grown so you Floridians will be helping support your local economy. Scotts recommends a three inch layer of Mulch as that will naturally help prevent weeds by blocking growth and access to sunlight. What homeowner likes weeds? I sure don't!I hate pulling weeds and am always looking for ways to to put an end to fighting them all season! To use, I simply spread the mulch 3 inches deep. I try to keep the mulch several inches from tree trunks and house foundations and other wood structures. I apply mulch around shrubs, flowers or vegetables after seeds have germinated and my plants have developed. Don't use mulch before seeds have germinated, around underdeveloped plants, and within several inches of house foundations or other wood surfaces. A 2 cu. ft. bag will cover 12 square feet of bedding area with a 2 inch layer, or an 8 square foot bedding area, with a 3 inch layer, which will give you even more weed protection. 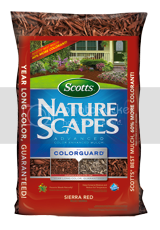 Your list of gardening supplies should include plants, tools, plant food, green waist trash can, and Scotts Nature Scapes mulch or Scotts Florida Select Natural Eucalyptus Mulch. Using Mulch is an easy way to beautify your landscaping for many years to come. Thank you Scotts for making an earth friendly product. We use mulch each year and now I will check out this brand! There is nothing like the aroma of eucalyptus! Eucalyptus mulch? I did not know about it, but I love the idea of this and will look for it in the store. Thanks so much.